I am beyond excited to have been nominated for the Liebster Award by Lisa over at Me and My Mom Friends! 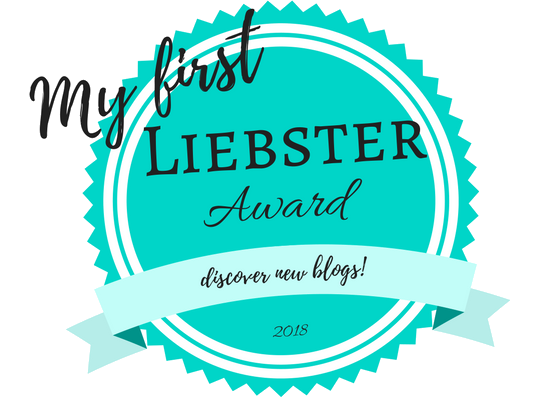 So why am I so excited and what exactly is a Liebster Award? I, like a lot of people, didn’t know what a Liebster Award was and I felt extra dumb when I learned what it was. 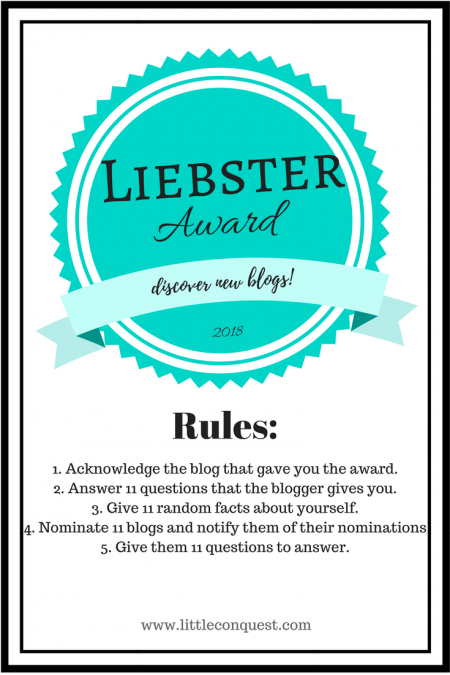 The Liebster Award is an award that is given to bloggers by other bloggers and it is purely an electronic recognition of your hard work. 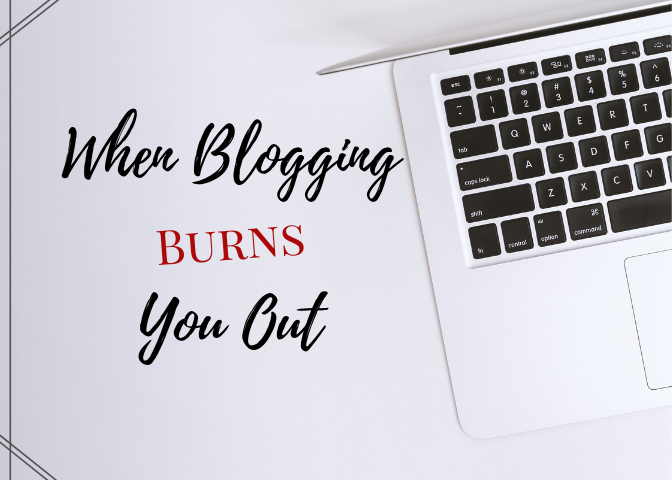 Nowadays, the blogging world is so convoluted that it often feels like we’re competing with each other, even though we each have something unique to offer. 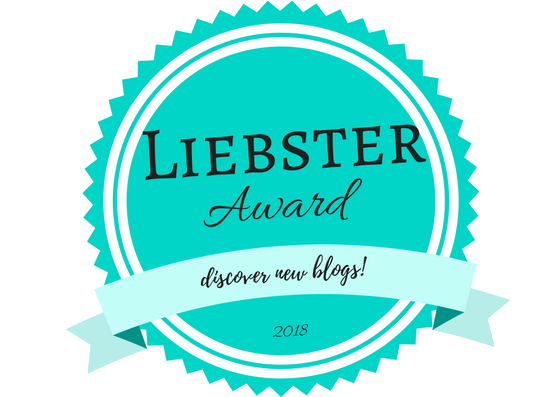 Liebster is a German word meaning dearest or beloved, which is why this award is dearly received by bloggers. It’s a way of supporting and acknowledging each other’s accomplishments while making it fun in the process! So, here are the rules you have to follow in order to participate and keep spreading the love! Without further ado, here are the 11 questions that were given to me and my most honest answers. I started blogging months after having my first baby. I ran a couple blogs pre-baby. One was focused on girl advice and the other on movie reviews. 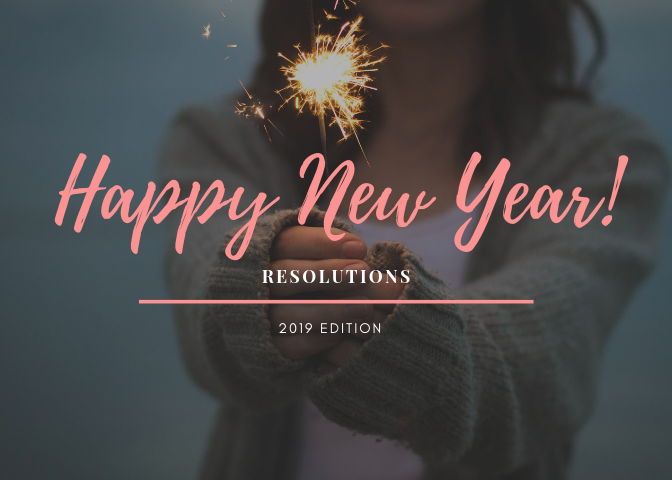 After I had my son, I decided I wanted to get back to blogging because I love writing and I had all these new experiences as a mother that I wanted to share and that’s how I started Little Conquest, which focuses on Parenting and Lifestyle. 2. 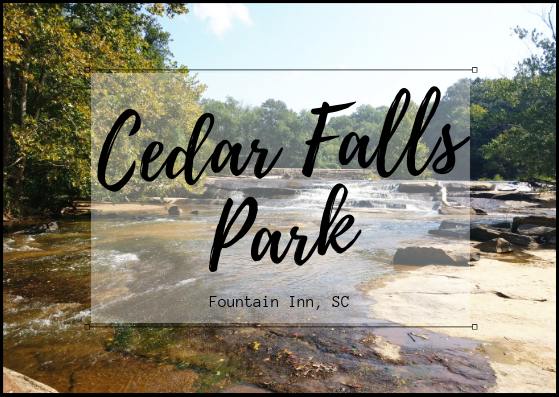 Favorite place you’ve visited? The greatest place I’ve visited is Jamaica. Husband and I went to Ocho Rios for our honeymoon and we just loved it! The views are amazing and even though it is an impoverished country, the people are always joyous, with a smile on their face some of the most nicest people that are always ready to help. 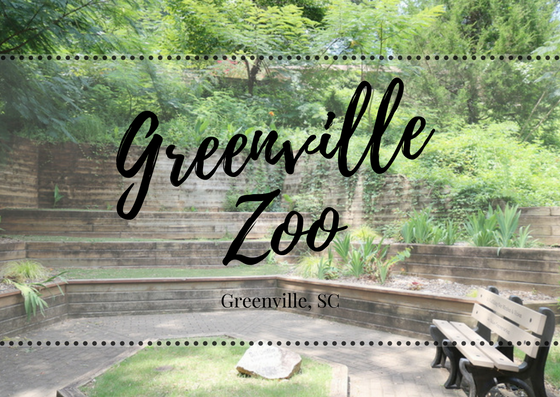 We loved it so much we visited the following year for our first anniversary! 3. 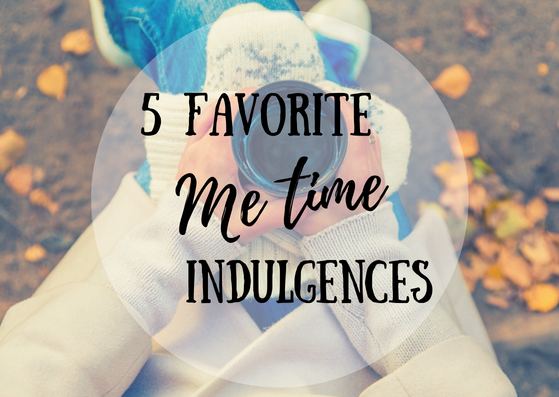 What is your guilty pleasure? A hot shower usually does the trick. If I feel tense, I find that a hot shower relaxes both body and mind! Actually consistently blogging, just a few months. 6. What is your hidden talent? I’m good with numbers. I think I was an accountant in my previous life! Haha. Black. And maybe hints of rose. 8. Warm weather or cold weather? Neither. Haha, my husband makes fun of me all the time because in the summer I complain about the heat and I can’t stand the cold at all. I’m good at 70 degrees F.
9. If you could live anywhere in the world, where would you live? Europe. But only because I like what I see in the movies lol. Beachside would be nice if it weren’t for hurricanes. As long as I have hubby and babies, I’m ok wherever! Success lies in happiness. If you are happy, you are by association, successful! My husband is my #1 cheerleader and supporter! We do everything that we do for our kids because we had it a bit on the rough side growing up, so we’re always aiming at being able to give them opportunities we didn’t have. I’ve watched The Office umpteen times, I often reference real life to quotes from the show. My first job was at an IHOP! My music taste ranges from Rock to Reggaeton! I love to eat my Corn Flakes with banana slices. I am our household’s accountant. Haha. I like crafting from time to time. I’m very sarcastic. Although, I’ve restrained myself from doing it too often. Becoming a mom makes you soft! Not to brag, but I’m pretty good at dishwasher Tetris. No matter what color I try on my hair (once in a blue moon), I always end up going back to black! What is your Netflix kryptonite? What is your favorite topic to write about on your blog? What is your favorite junk food? What is your favorite type of flower? What is one super expensive thing you wish you could buy? Looking forward to reading my nominee’s posts! KarlaWife and mother to a toddler boy and 2 kitties! Enjoys life and adventures. Loves writing, Pinteresting, and pumpkin spice everything! Congratulations, you have an awesome blog! Thank you so much! I can’t wait to go back to Jamaica with my little ones! Congrats on the award, it’s always nice to be recognized for your hard work. Your #7 fun fact is also me. I hate water, I can’t stand it lol! Thanks! 😀 I’m glad we’re not alone! Congrats that’s awesome!! Target is my guilty pleasure too! Thank you! 🙂 I’d love to meet a person who does not like Target! Congrats!! Target gets the best of all of us! Omg I love your guilty pleasure.. target is sooo addictive! Congratulations and keep up the great work! Cant wait to check out your nominees as well! Congratulations, girl 👏👏 thanks for explaining the award term as well! Ahh congrats! You deserve it, your blog is brilliant! Aww, thanks! We try to keep it real! Congrats on the award. I myself was wondering what this award was so thank for explaining. Love your blog! Thank you! And yes, I was there too lol there’s just so much to learn about the blogging world! Dishwasher Tetris Olympic team? Haha! It was great getting to know you better! Love the idea behind this award! I know! It’s not much, but it is greatly appreciated to be nominated 🙂 and Thank you! Congrats! That’s such an awesome achievement as a blogger.